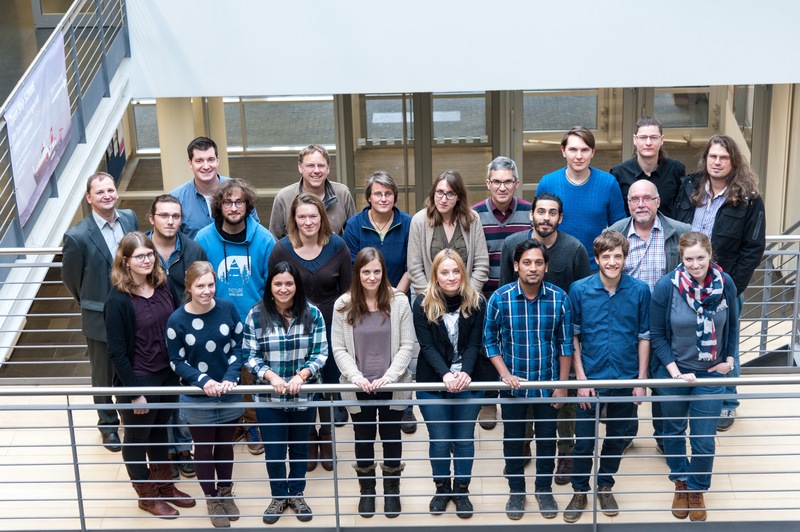 It seems like only yesterday that the first cohort of 12 ArcTrain students, fresh-faced and ready to go, were officially welcomed into the program in 2014 at the Alfred Wegener Institute, Bremerhaven. On Monday 23rd January 2017, during the Kick-Off Meeting for the second ArcTrain cohort, I was reminded of just how long ago that was. Not only had we changed venue to the MARUM at the University of Bremen (so no stuffed Arctic animals this time), but we had GROWN. We welcomed not only the second cohort of 12 PhD students, but have picked up a number of associated students along the way and even a visiting student from the ArcTrain Canada was in attendance. Of course, us ‘oldies’ were there as well. After hearing about the status of the program, we had a number of scientific talks on topics from remote sensing to foraminifera and on timescales from the Miocene to the present day. For the informal part of the talks, we got to share our experiences from the last three years with our supervisors and new students. An exciting scientific outreach and communication project was also presented. ArcTrain students are currently devising a game that will provide Arctic communities with information about changes in their environment, as well as the opportunity to play out scenarios from a myriad of stakeholder perspectives. So even though we are gradually handing over to the new generation of ArcTrain students, we are not saying goodbye to the community. Plans are already in motion for forming an Alumni network to communicate future opportunities, collaborations and keep in touch with the friends we have made in the last three years.